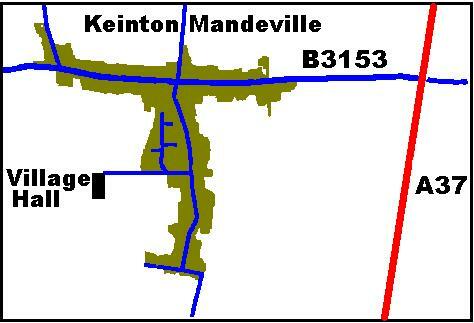 The village of Keinton Mandeville is just off the A37 midway between Yeovil to the South and Shepton Mallet to the North. 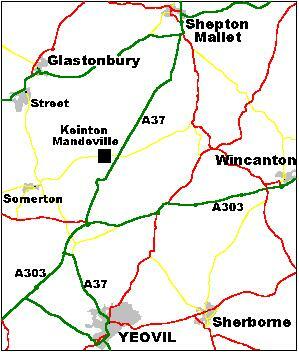 It is within a 12 miles radius of Yeovil, Somerton, Wincanton, Sherborne, Glastonbury and Shepton Mallet and Street. Enter the postcode of TA11 6ES. Turn into Chistles Lane. Pass the school, as the road bears to the right keep straight on to the hall. From the A37 at the Lydford-on-Fosse traffic lights follow the signs to Keinton Mandeville. At the cross roads in the village centre turn left into Queen Street. Take the first road on the right, Chistles Lane. Pass the school, and as the road bears to the right keep straight on to the hall.